I came back home after my cervical disk replacement surgery. 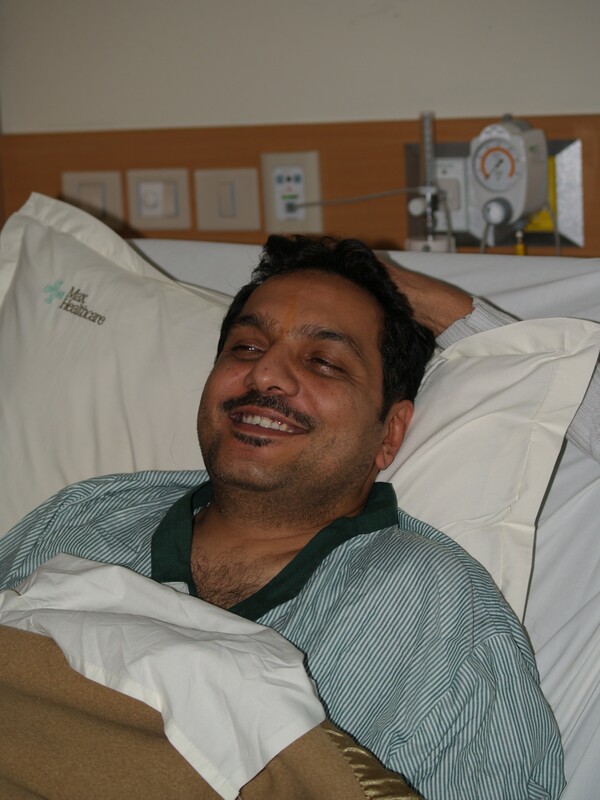 I was operated on 19th November at the Max Hospital in Delhi. This was the first time in my life when I was being operated upon. So obviously I was nervous but I had to keep myself strong to keep my family strong specially my Dad. So I had to look and move absolutely normal like nothing was happening. God was also great as suddenly my sense of humor was at its peak. I still recollect during our discussion with the Doctor – the Doctor was informing us all the possible risks involved in the surgery. he mentioned that there was one percent possibility of my voice changing. I responded immediately that may be it will become like a great singer. Obviously he didnt like my sense of humor. So it was more fun time that I was having through out. Secondly I spent quality time with the family. A day before the admission I took my whole family to the Sultanpur Bird Sanctuary for some photo shoots of migratory birds. Catch up with some of the shots at my picassa account. We went to a good fast food outlet Hungercure for dinner. The third thing I did was didnt research about the surgery on the net which usually I do for almost everything. At times extra knowledge hurts. The fourth thing I did was choose the best possible place to get the surgery done. Good after care staff and paramedics is important part of healing. The nurses, physio,dieticians all are excellently trained to take care of people in trauma. This keeps you in good mood. Another important point to believe during the whole process is that of helplessness. I had to accept the fact that I had no choice and had already delayed the surgery risking more trouble. So when no alternative left better to fight it out. And lastly the trust in God and absolute believe that I have not done anything wrong that would make God to punish me beyond this.